President Satoru Iwata continued to address Nintendo investors’ fears in an investor question and answer session on Monday after reporting the company’s first-ever fiscal year loss at the end of April. In addition to announcing new digital download initiatives for both the Nintendo 3DS and the upcoming Wii U, Iwata said Nintendo is refocusing its development on gaming enthusiasts rather than casual and family players. It was a bad move to abandon the core according to Iwata. “The Wii was able to reach a large number of new consumers who had never played games before by bringing hands-on experiences with its Wii Sports and Wii Fit. However, we could not adequately create the situation that such new consumers played games frequently or for long, consistent periods. 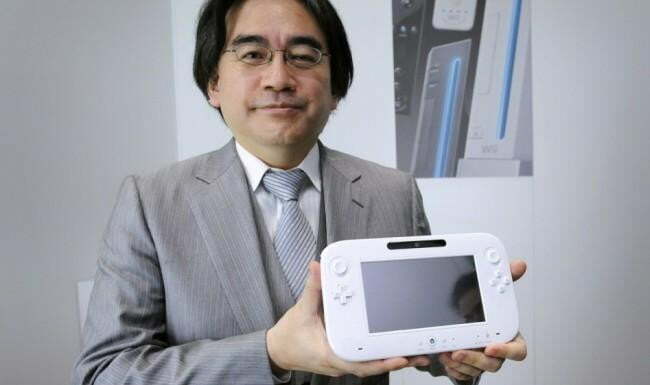 As a result we could not sustain a good level of profit,” said Iwata. Nintendo’s underwhelming announcement of the Wii U at E3 2011 was a less explicit admission of the same mistake. The naming of the new console according to Nintendo of America president Reggie Fils-Aime was supposed to reconcile the casual and core audiences of Nintendo’s games, a console for “me and you.” Hence the hybrid of traditional control inputs and something simpler like a touch screen. Iwata’s comments to investors though betray the fact that he and the rest of Nintendo’s corporate leaders in Japan misunderstand the chief failing of the Wii: The machine needed more games, more frequently. The casual audience lured by titles like Wii Fit in 2008 and earlier during the height of the Wii’s success are the same players that went on to pour money into free-to-play social games like FarmVille and mobile titles like Angry Birds in the years that followed. They are more than willing to play games for “long, consistent periods” as long as they’re given a reason to. Nintendo failed this audience by not giving them a wider selection of titles at lower costs. Nintendo failed its core audience in a similar way. There simply weren’t enough games to maintain a healthy community of users. Releasing the Wii with limited technical capabilities wasn’t a mistake, but releasing it with no ability whatsoever to support high-definition television screens was nothing short of insane. It automatically alienated hobbyists and encouraged them to seek other solutions like the Dolphin Wii emulator. That’s not to mention the system’s asinine online gaming structure. While the Wii U could be a hit for Nintendo, it’s concerning to see that its leadership still doesn’t understand the failures of past business decisions.